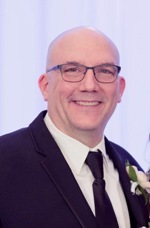 James "Jim" Polk, 53, of Commerce Township, died on 27 September 2018. The Funeral was held at IRA KAUFMAN CHAPEL on Sunday, 30 September 2018 at 3:00 PM . Rabbi Josh Bennett and Cantor Neil Michaels officiated.